Online Blackjack New Zealand - Strategies, Tips and Exclusive Bonuses! 1.3 Card Counting – Does it work for online Blackjack? 1.4 Can you count cards in online Blackjack? When it comes to games with cards played in casinos around the globe, blackjack is by far the most popular in the fairly large group. Blackjack owns a lot of its popularity to the fact it is one of rare games where players can learn and improve to better their skills and significantly lower the casino edge. On the other hand, blackjack is also an easy game to learn and play as far as the rules are concerned, so it attracts casual players with no experience as well. The game owes a lot of its claim to the fame to many books and movies about famous card counters and card counting teams who took casinos to the cleaners back in the day. Online casino catering to New Zealand players offer many different variations of blackjack, each of them with their own special tweaks to the rules. However, all blackjack variants follow the same fundamental rules and if you know these, you’re ready to play pretty much any blackjack game online. The goal of blackjack is fairly straightforward. The player needs to make a hand totaling 21 or less and beat the dealer’s total. Picture cards are counted as 10, Aces are counted as 11 or 1, and all other cards have their face values. There are usually between six and eight players at a live blackjack table, while electronic online tables often have no limit because players play on their own. At the start of the hand, the dealer deals each player one card face up and takes one card for themselves, but facing down. Then, each player is dealt another card and the dealer also takes another card, but this time face up, for everyone to see. Once the first cards are dealt, the dealer gives every player an option to either „hit,“ i.e. take another card, or stand, keeping their total and not taking any further cards. The exception is when the player is dealt an Ace and any card valued at 10, because then they are dealt the blackjack and are immediately paid at 3 to 2. Players can take new cards for as long as their total is under 21, but once they go over 21, their hand is bust and their bets are immediately forfeited. Once all the cards are dealt to the players, the dealer turns over their face-down card and proceeds to draw if their total is below 17. Once they reach 17, they can’t draw any more cards. If the dealer busts in the process of drawing cards (goes over 21), all players with an active hand automatically win. Otherwise, the totals are compared and those with the higher total than the dealer win at 1 to 1 compared to their bets. In the event a player and the dealer have the same total, the hand is declared a push and the player gets their bet back. Apart from these fundamentals, there are a couple of special rules players need to be aware of. The first such rule has to do with splitting cards. 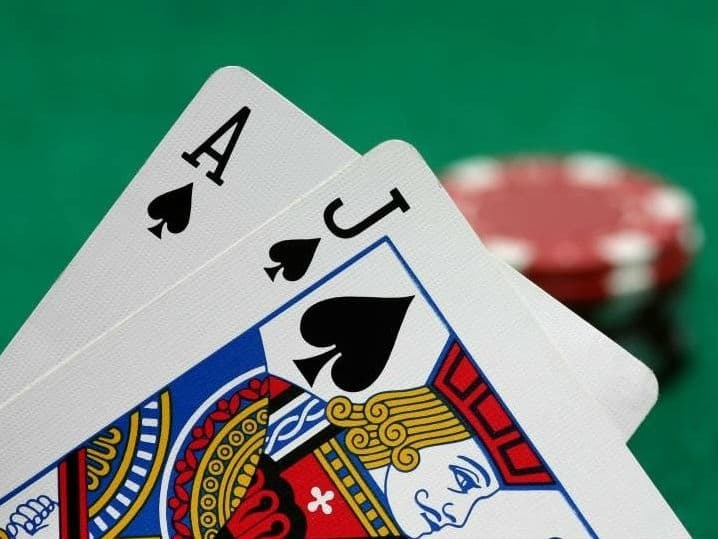 Once the player receives a pair as their first two cards, they are allowed to split the pair and effectively play two blackjack hands by putting in an additional bet. Players are also allowed to double down on certain totals, depending on the particular variation. 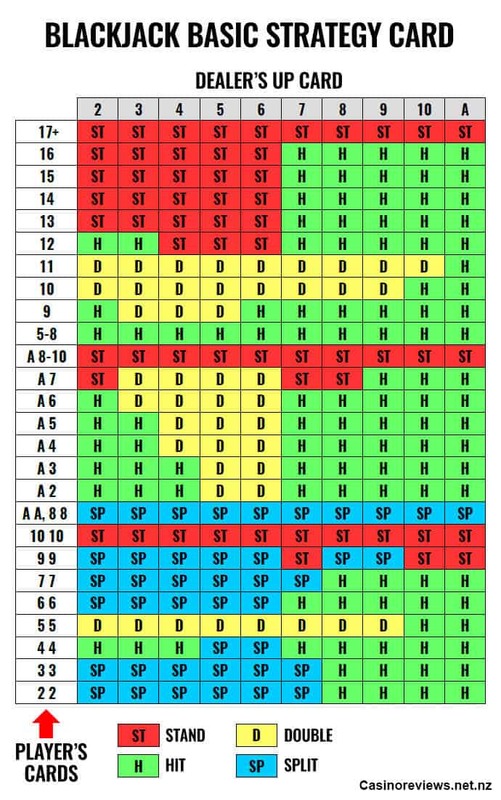 What this means is that, in most instances, players can double their bet if their total is 8, 9, 10, or 11 and ask for another card. However, they only get one card after doubling and can’t draw any more. We’ve already mentioned that blackjack is one of rare games where players’ decisions truly matter. Knowing how to play the game properly can seriously diminish the house edge and the set of rules on how to play correctly is known as basic blackjack strategy. There is more to know about basic blackjack strategy, but these items represent a nice summary of the whole thing and even if you just learn these by heart, you’ll be making very few mistakes at the tables. Card Counting – Does it work for online Blackjack? Card counting is the only surefire way to actually turn the tables on the house and actually make the game of blackjack profitable for the player. There are several card counting techniques, but all of them rely on the same basic principle of keeping track of big, middling, and small cards. As there are more big cards left in the blackjack shoe, the game becomes more favorable for the player. Sadly, card counting doesn’t work for online blackjack. At electronic tables, the virtual shoe is shuffled at the start of each hand, which means there is no point in keeping track of what cards were dealt. With live blackjack games online, a player could count cards, but shoes are usually cut very often, which means they never get deep enough for card counting to become effective.